These are the Mobile App Distribution instructions for iOS, for our clients to follow during our development and testing phase. Follow the instructions to activate your account. Let the Fast Forward team know that this is completed. 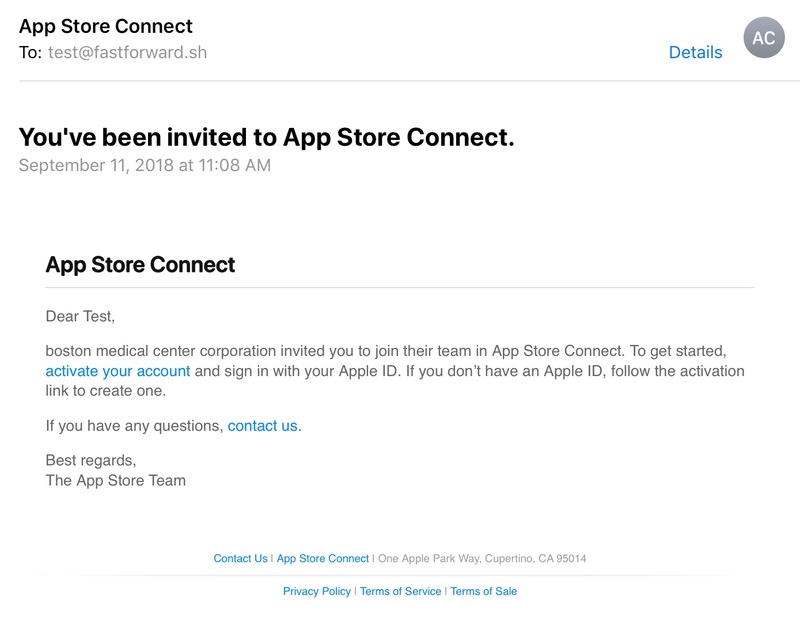 The Fast Forward developer will then need to add your Apple ID (Name and Email address) to TestFlight, which will trigger an invitation. 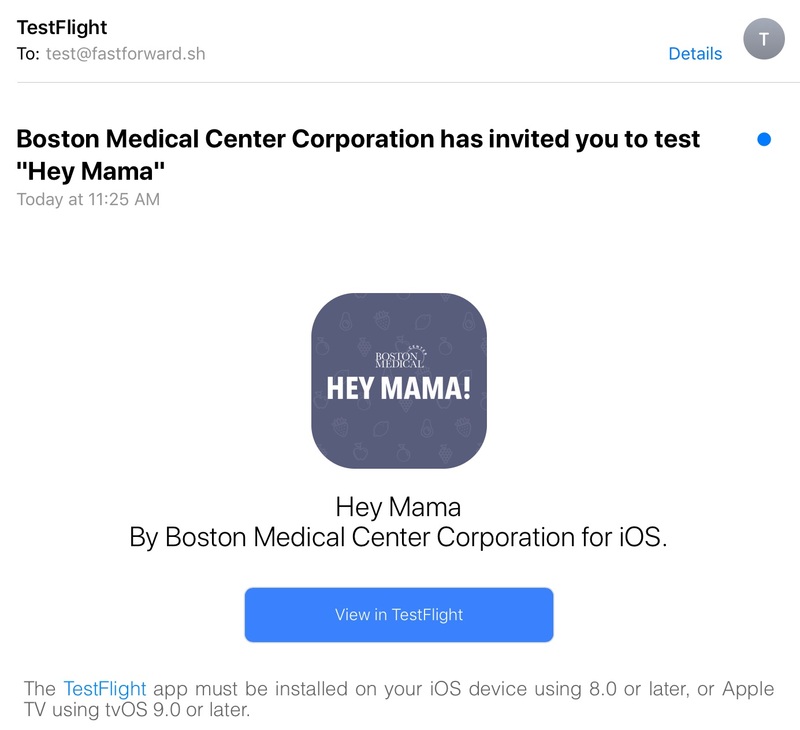 The invitation email (see below) will prompt you to install the free TestFlight app from the App Store on your iPhone or iPad, if you don’t already have it installed. The TestFlight app makes installing beta apps simple, with no need to keep track of UDIDs or provisioning profiles. When you launch TestFlight you should see the most recent version of the app, to download. Each time the app gets updated, you can go to Testflight and click to “Update” and open the app. Please contact us if you have any questions. Thanks!